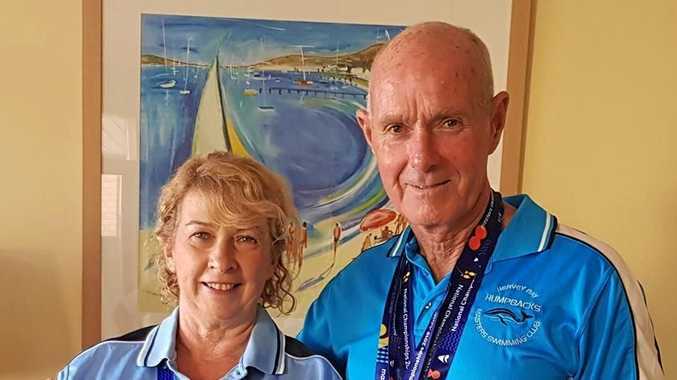 SWIMMING: Hervey Bay Humpback swimmers Peter McMonagle and Paula Hewett had trouble last week boarding their flights when stopped by the airport metal detectors. The duo were in Adelaide last week for the Masters Swimming National Championships and both have returned home with medals. Hewett secured a bronze medal in the 200 metre freestyle event 65-69 age group. 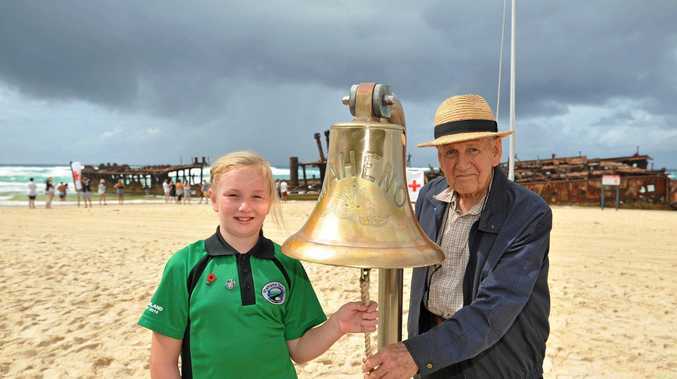 "The medal was unexpected but I am very happy with it.” Hewett said. Hewett recently having moved up into the 65-69 age group was pleased with all of her swims at the meet, recording personal best times for all except for bronze medal swim. "I was consistent with the times I had planned,” Hewett said. For McMonagle the medal haul was even greater, securing gold medals in the 50 and 100 metre breast stroke 70-74 age group. McMonagle also received bronze medals for his swims in the 50 and 100 metre freestyle events. "I didn't expect to be in gold medal contention but it goes to show that my hard training has paid off,” McMonagle said. For McMonagle the highlight of his swim meet was reducing his personal best time by four seconds in the 100 metre freestyle with a time of just over one minute and twelve seconds. "That bronze medal came out of nowhere,” he said. McMonagle was high in his praise for his fellow club member and her swim times. "Paula swam really well all week and deserved her success,” McMongale said. Both swimmers agreed that although numbers of swimmers were down the quality of racing has risen since the last national championships. The next competition meet for both swimmers and other Humpback club members will be the Queensland State Titles to be held next month in Brisbane.